Until the steam age the university city of Exeter was a thriving port for the wool trade, bolstered by one of the UK’s oldest ship canals. 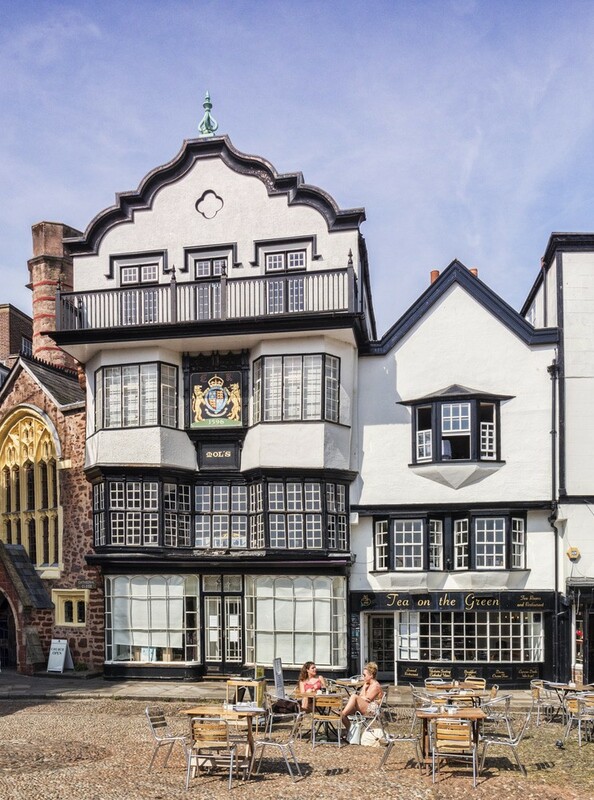 Exeter escaped heavy industry in the 19th century because it was set too far from fuel sources, and this has helped it keep some of its Tudor character. This city is often rated as one of the most liveable in the UK, while its highly-rated university adds a dash of dynamism and culture. There’s a lovely quayside where you can imagine old galleons docking, a regal guildhall and a sublime cathedral with Norman towers and plenty of expert Medieval workmanship. 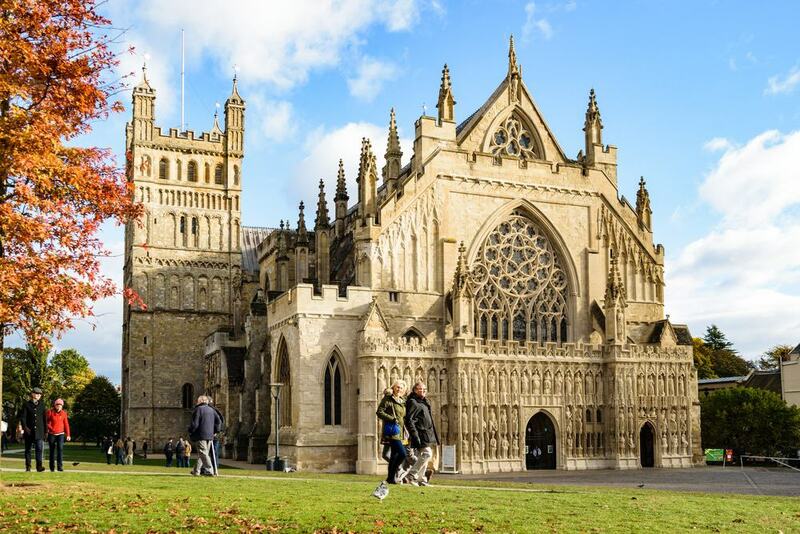 Begun at the start of the 12th century and finished just under 300 years later, Exeter Cathedral is bursting with incredible things to see. Oldest of all is the pair of square Norman Romanesque towers flanking the nave. The absence of a central tower at the cathedral has created the longest unbroken Medieval vaulted ceiling in the world, at just under 100 metres. Eagle-eyed visitors can make out more than 400 bosses in the vault, adorned with decorative patterns or historical scenes like the murder of Thomas Becket. Produced in 1360, the Minstrels Gallery in the nave has 12 angels in niches, each playing a different musical instrument. The astronomical clock meanwhile has a lower face from 1484 with a 24-hour dial, while the upper face from 1760 counts the minutes. Finally, the astonishing 13th-century misericords in the choir are the oldest complete set in the UK, and feature the oldest known depiction of an elephant in the country. 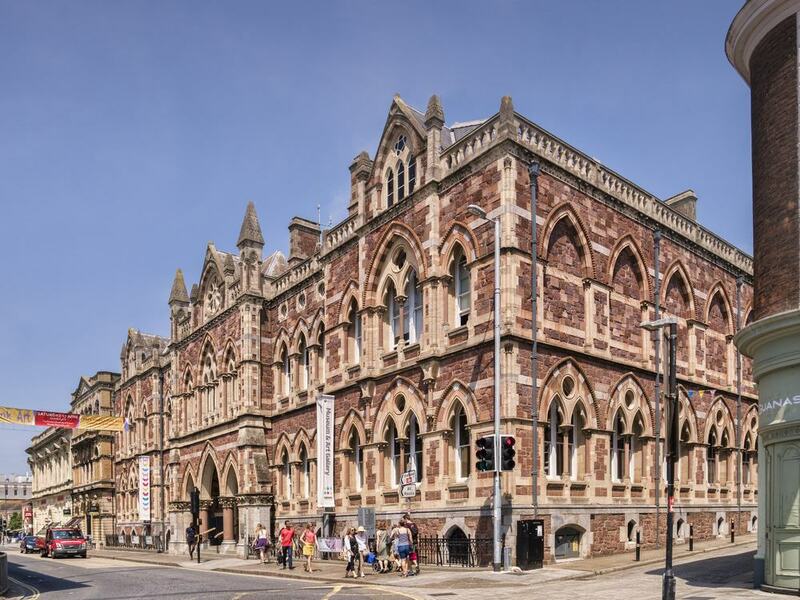 In 2011 this museum dating back 1868 was reopened to wide acclaim following a £24m refurbishment. The Royal Albert Memorial Museum was conceived as a practical memorial to Queen Victoria’s husband Prince Albert, and was housed in a very ornate Gothic Revival building. It’s a diverse attraction, with collections in world cultures, natural history, zoology, prehistory, antiquities and art. For just a quick summary of the art collection there are works by Thomas Gainsborough, John Nash and Barbara Hepworth. You can inspect the cabinets from the study of Victorian biologist Percy Sladen, who amassed one of the largest single collections of echinoderms (sea stars, sand dollars and sea urchins). Some of the many other highlights are Medieval building fragments, Japanese samurai armour, the 14th-century Exeter puzzle jug and a wall coated with prehistoric hand axes and spearheads. The Historic Quayside on the Exe and the Exeter Ship Canal is one of the prettiest scenes in the city. In the warmer months there’s something going on most days, like the annual 10k run or outdoor concerts, while the pubs, restaurants and cafes have tables next to the water. There has been a port of some description here since prehistory, and behind the cobblestone road are old cellars, 17th and 18th-century warehouses and the Custom House. This is the oldest brick building in Exeter, dating to the start of the 1680s and easy to notice for its quoins and pediment, and the cannons out front. You can cross the Exe on the manually operated Butts Ferry, which has been here since 2005 on a crossing used since 1641. There are also canoes or bikes for hire on the quayside, so you can head off and see where your curiosity takes you. 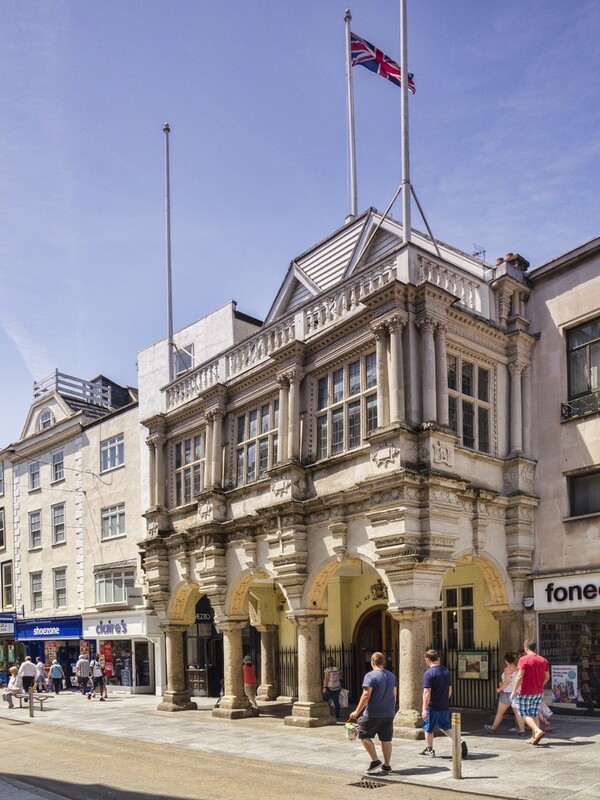 A pillar of civic life in Exeter since Medieval times, the Guildhall is still used by the City Council for meetings. The Italian Renaissance facade on the High Street, with arcades, Corinthian columns and mullioned windows, comes from 1590. 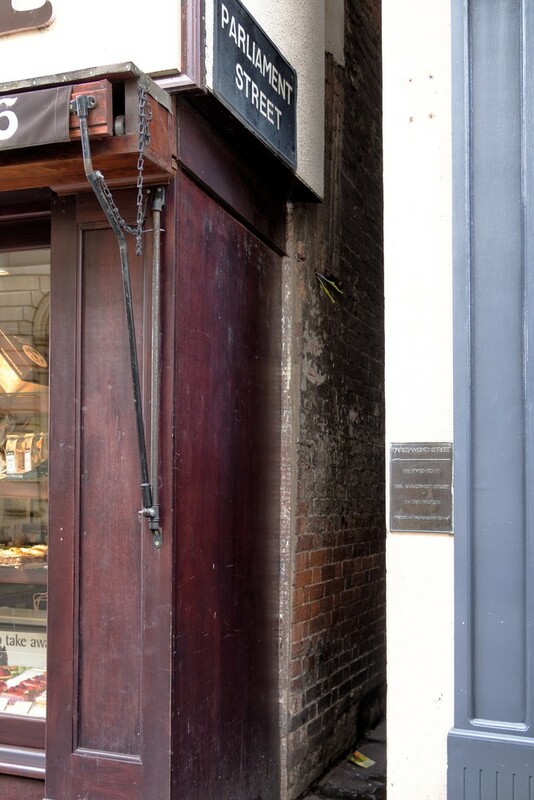 Beneath the arches is where the city stocks used to stand, and the venerable oak door here was carved in 1593. The Council Chamber, adorned with portraits of former mayors and high stewards, dates to the late-1460s, although it was restored in Victorian times. Lining the walls are wooden panels with the coats of arms of the many former council members, and strange beasts have been carved into the corbels in the beamed ceiling. Under the hall is a vaulted cellar used as a dungeon and once known as the “Pytt of the Guyldhall”. Tracing Cathedral Green to the north and east is Cathedral Close, which has been at the very heart of Exeter since Roman times when it had a basilica and baths. The way is lined with Grade I listed buildings from Medieval times and the Early Modern Age, and these housed clergy, canons and cathedral officials like the chancellor. Looked out for the half-timbered houses at nos. 7, 8 and 9A, while St Petrock’s Church and St Martin’s Church deserve a peek if open. A real eye-catcher is Mol’s Coffee House from 1596, with a gable, wooden balcony and pairs of bay windows. On the second floor you can see royal coat of arms from the 16th century. The stucco-fronted Royal Clarence is from 1769 and is the oldest building in England to be described as a hotel, although much older Medieval houses were integrated in the construction. 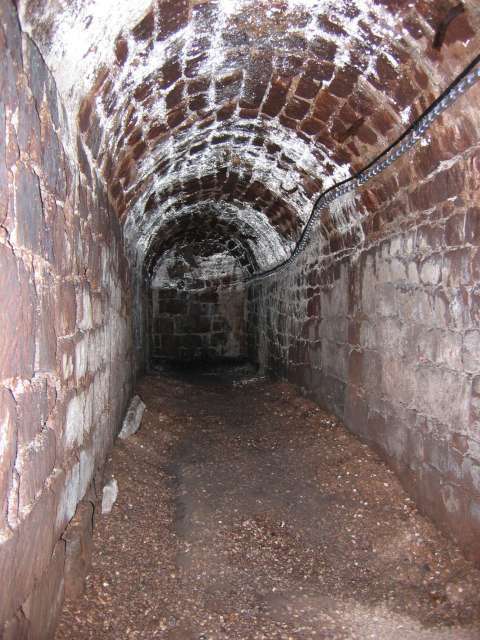 There’s a burrow of passages under Exeter, excavated in Medieval times to bring drinking water to the city. The water travelled through lead pipes, and to make them easier to maintain and avoid digging up the city, the pipes were kept in large vaults. You can put on a hardhat and head underground to see these tunnels for yourself, where you’ll find centuries-old masons’ marks and graffiti. Before the guided tour you’ll visit the heritage centre, which has pieces of the old lead pipe in a glass case and interactive displays on topics like hydraulics. Next to the faint vestiges of Rougemont Castle is a park along the stronghold’s 950-year-old ditch defences. The castle was built on the northern walls of the Roman city in 1068 during the Norman Conquest. Later it was mentioned in Shakespeare’s Richard III, and the last people in England to be executed for witchcraft were tried at this building in 1682. The largest fragment is the square early-Norman gatehouse. 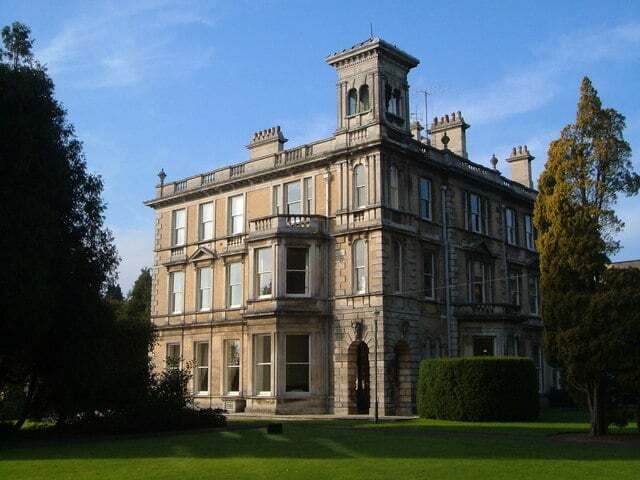 The park is bounded to the northwest by a piece of the city wall, and beyond this you’ll come to Northernay Gardens. 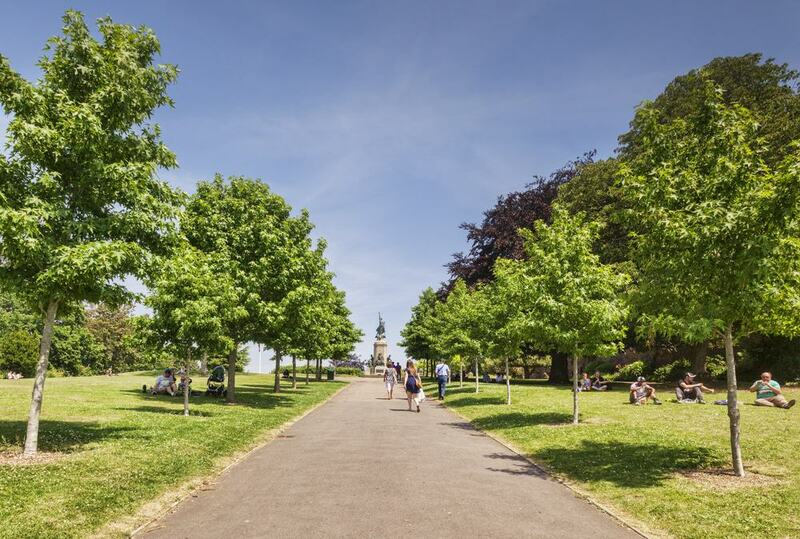 First designed in 1612 as a pleasure walk for the people of the city, Northernay Gardens is the oldest public open space in England. At the Streatham Campus of the University of Exeter is a free museum about the history of the moving image. Named after the Scottish directory Bill Douglas, the museum is an Aladdin’s cave for fans of cinema, full of curios like magic lanterns, shadow puppets, posters, early cameras, movie magazines from the silent era, vintage cinema signs, hand panorama reels, wax phonograph cylinders, flip books and a great deal more. You can browse all kinds of authentic memorabilia spanning the history of Hollywood, from Charlie Chaplin to Buzz Lightyear. For a quick diversion, Parliament Street, branching off the High Street and a short walk from the Cathedral Yard, is one of the narrowest streets in the world. Measuring 63.5 centimetres across at its narrowest point this street was first set out in the 1300s. Its former name was Small Lane, and in the 19th century it was given its much grander title in irony as a protest against the Reform Act of 1832, which transformed the UK’s electoral system. 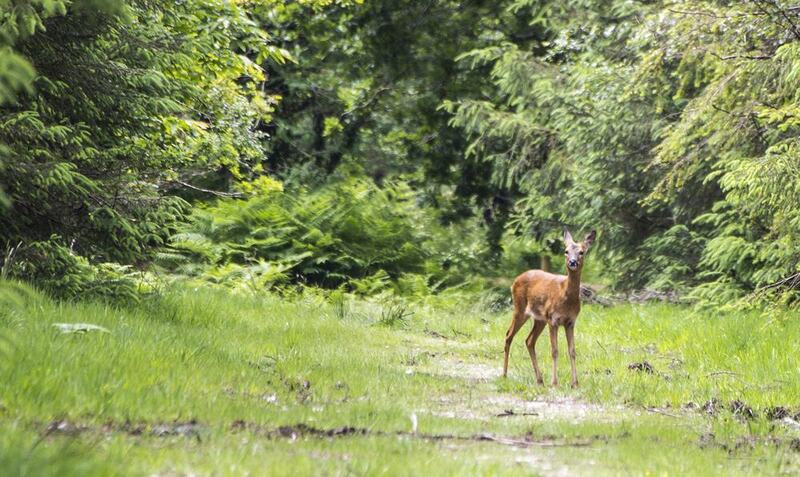 Head south from Exeter and you’ll soon be in a mosaic of woodland known as the Haldon Forest. There are over 3,500 hectares of pine and hardwood forest, all on elevated ground along a ridge between the River Teign and the Exe estuary. The Forestry Commission maintains a web of walking paths and bike trails, and you can hire a pair of wheels at the “Hub” near the ranger’s office. There’s also a cafe, a high ropes course, an activity trail for kids, while children can also download the “Snarkhunter” for all kinds of interactive outdoor games inspired by the Lewis Carroll character The Snark. Just the place for excursions if you have children under ten, Crealy Adventure Park is a themed attraction that opened in 1989 and continues to grow. 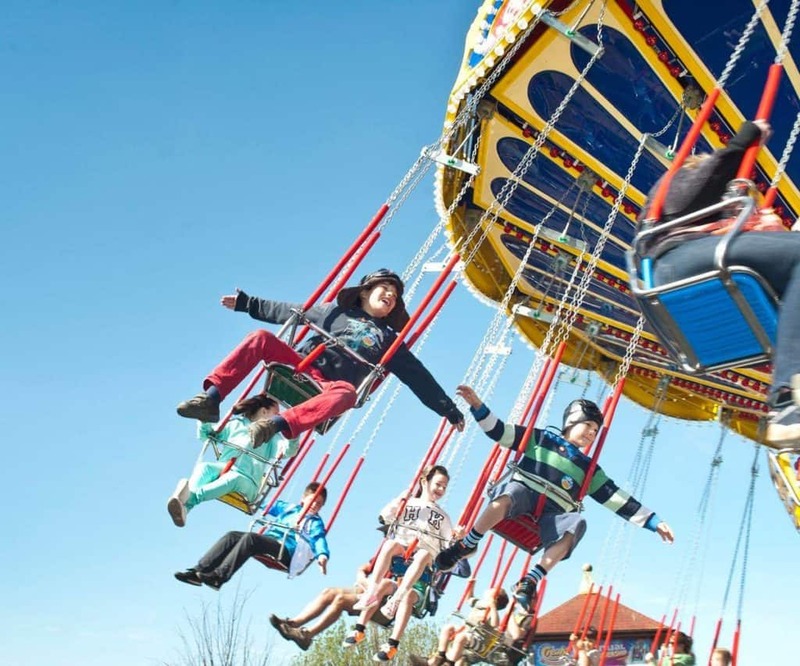 There are now more than 60 rides, shows and amusements, including splash rides, small roller coasters, fairground rides, adventure playgrounds and the Animal Barn contain farm and zoo animals. The park is in 100 acres of green Devon countryside, and some of its newer rides are Dino Jeeps where you ride past animatronic dinosaurs, Supersubs for a deep sea voyage in search of Atlantis and the Junior Driving School where kids can take the wheel on a challenging course. Also new is Bugz Unlimited, where you can get within inches of bizarre insects like Madagascar hissing cockroaches and leafcutter ants. 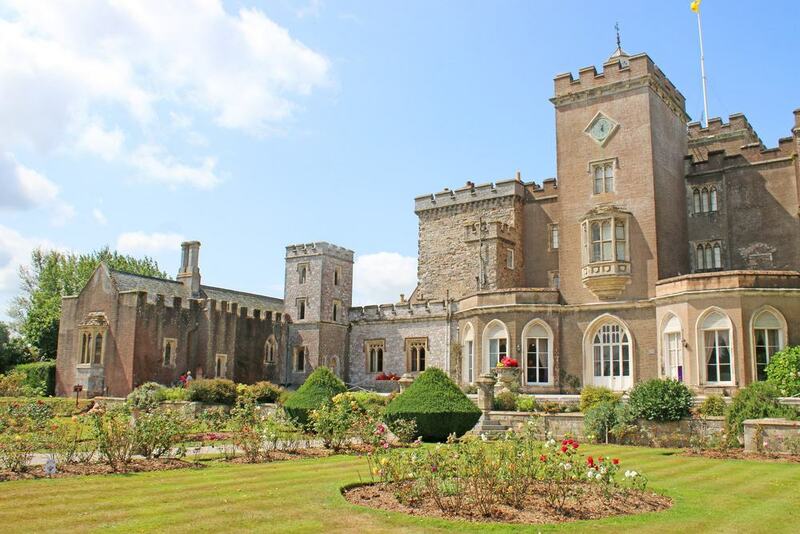 Six miles south of Exeter, Grade I listed Powderham Castle stands on the west bank of the Exe estuary. The property has 14th and 15th-century origins and was given extensive Gothic Revival additions in the middle of the 19th century. Remarkably, Powderham Castle has been in the same family, the Courtenays (Earls of Devon), since it was founded around 1390. Some of the best bits inside are the 18th-century Marble Hall, the mahogany staircase and the Neoclassical Music Room designed by celebrated Georgian James Wyatt. 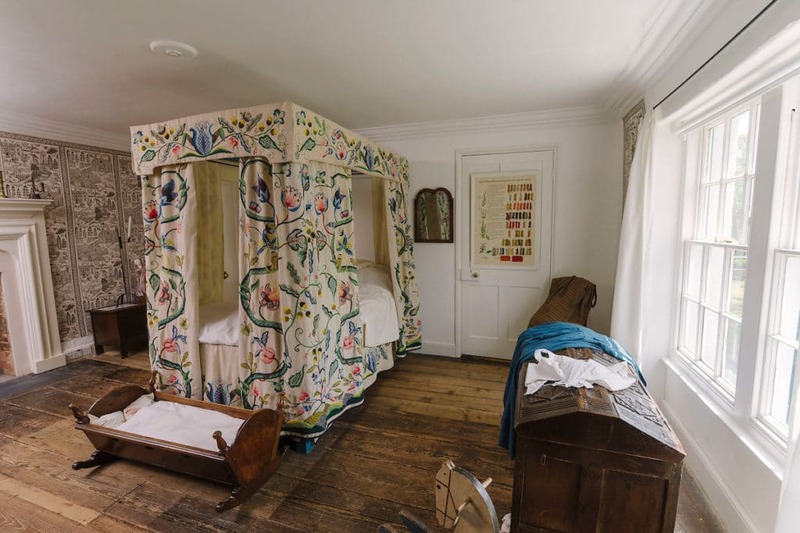 These are enhanced with priceless items like a 17th-century Brussels tapestry, a 15th-century carved over-door and an Axminster carpet from 1798. Outside, kids can join in on a treasure trail, busy themselves with arts and crafts at the Nature Nook and try planting seeds at the castle’s Potting Shed. A breeze through the bucolic East Devon countryside, the Donkey Sanctuary in Sidmouth rests in an Area of Outstanding Natural Beauty. 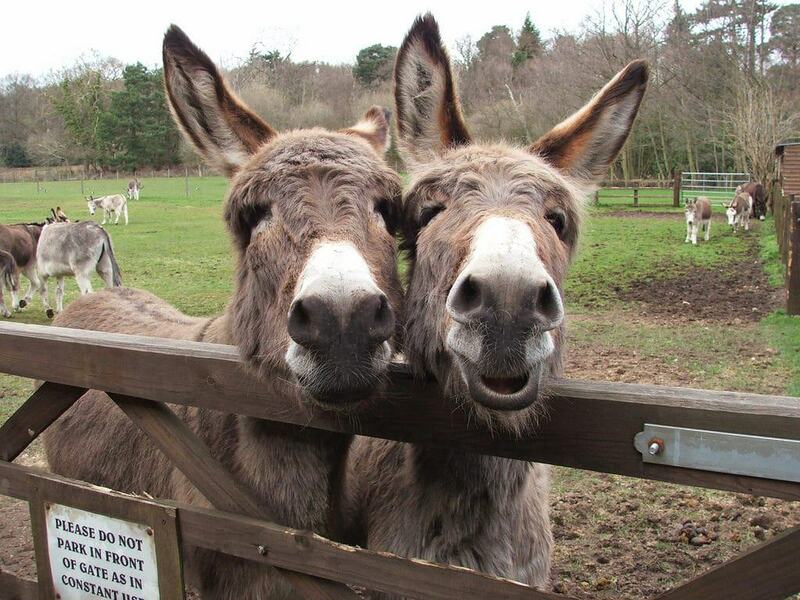 Here, free of charge, you can meet some of the hundreds of donkeys that this charity rescues every year. There are also indoor attractions to visit, like the Visitor Centre, and Understanding Donkeys Zone, which detail the international work done by the sanctuary and tells you everything you need to know about these equines. At Dr Svendsen’s Hut you can hear about Dr Elisabeth Svendsen, who founded the Donkey Sanctuary in the 1970s. There’s also a maze, grooming sessions, walking trails and a restaurant with views over the paddocks and out to sea. 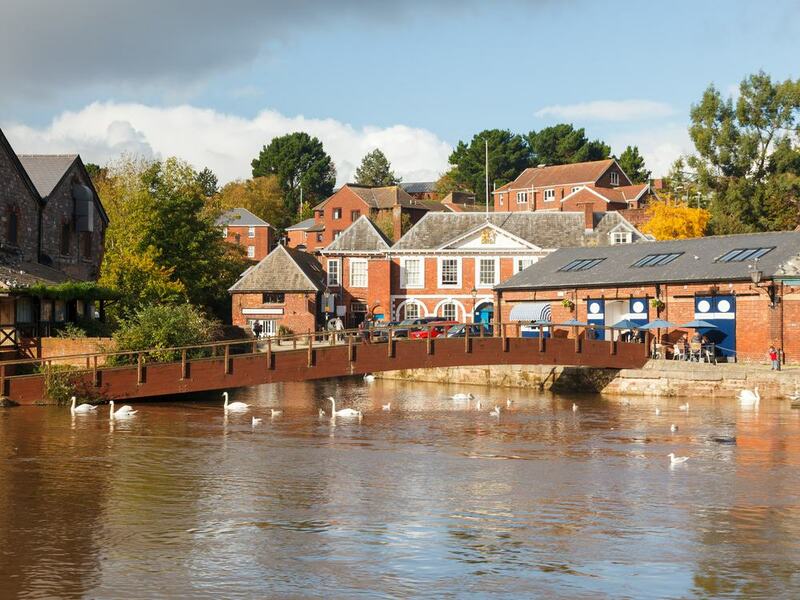 A quick drive or 15-minute train ride from Exeter Central station, the Topsham Museum is one of a row of 17th century merchants’ houses by the Exe. Thanks to its location at a sheltered spot at the head of the estuary, Topsham once had shipbuilding docks that assembled early-19th-century warships like HMS Terror and HMS Cyan, and there are exhibitions about this heritage. The museum has a collection of much smaller vessels that used to travel on the Exe, while a number of rooms have been furnished in a period style. An unexpected treat is the set of memorabilia for the film star Vivien Leigh, including a dress she wore as Scarlett O’Hara in Gone with the Wind. Both the mild climate and sandstone soils around Exeter are suited to winemaking, and at Pebblebed you can visit the winery and have a chat with the vintner. 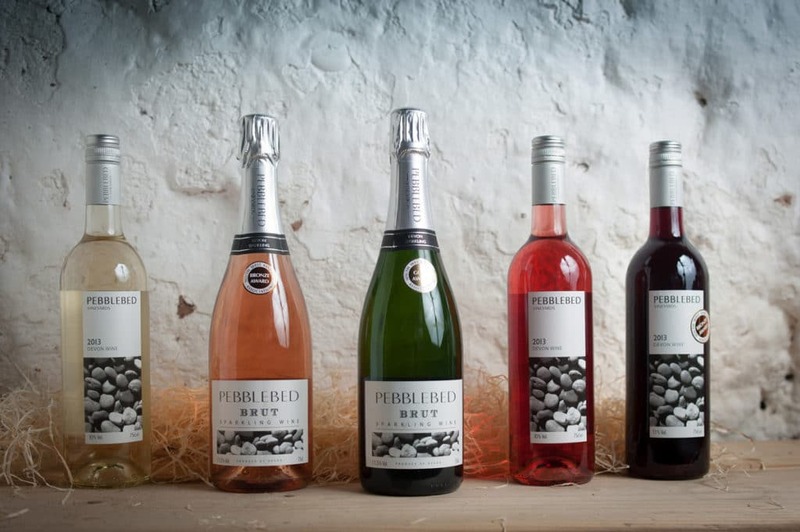 Pebblebed grows Merlot, Rodo, Pinot Noir, Cabernet Sauvignon, Seyval Blanc and Madeleine Angervine, and welcomes visitors to its vineyard just outside Topsham from May to September. The label also runs a cellar in the village, just upstream from the quay, where you can sample wines from its range along with tapas made from local ingredients.